This entry was posted in Money Tips and tagged food, guest post, money tip. Bookmark the permalink. 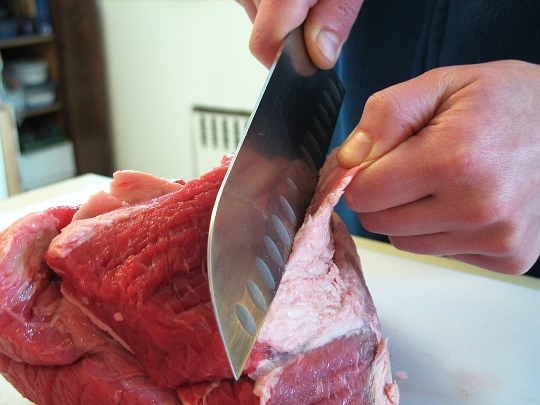 For the record, don’t use a santoku knife for trimming like in the picture. There’s a reason butcher’s have a lot of knives, and with a few bucks and a local flea market you can usually get a pretty decent set put together. The right knife makes everything a lot easier.